What opportunities and dilemmas will your manufacturing business need to adapt to grow within the next three years? We have spoken to some manufacturers who shy away from the concept of ‘brand development’. 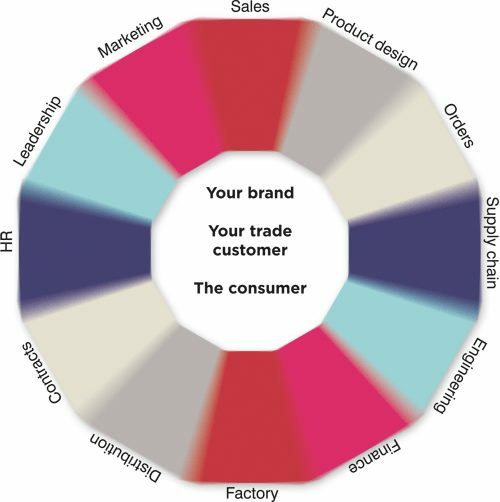 Whether your business is supplying to trade customers or not, it is essential to think and care about the end consumer. B2B has been replaced with B2B2C so no-one is hidden as consumers want to know what they are consuming. From the ingredients in their food to the clothes they are wearing to the furniture in their new home or car. Have the ingredients been sustainably sourced? Is the furniture safe and low in formaldehyde emissions? As the world becomes a more a transparent and smaller place, manufacturing leaders must put branding and customer service at the heart of their business. What is important to you about your manufacturing business? McKinsey Global Institute predicts that by 2025 “a new global consuming class will have emerged”. This will result in a volatile business environment and organisations must learn to be innovative, monitor and exploit emerging themes whilst still exceeding customer expectations and minimise strategic risk. People like to work for organisations who have lived values and a genuine history. Retaining highly skilled talent will be a key to sustainable growth. While businesses are streamlining resources, employees are expected to work harder and bring their souls to work (Western S, 2012). Does your organisational culture encourage employees to continually offer their blood, sweat and soul? Or do the factory ears hear employees beginning to pack their desks and workstations away at ten-to finishing time? “The [manufacturing] sector is evolving in ways that make the traditional view – that manufacturing and services are completely separate and fundamentally different sectors – outdated. Service inputs (everything from logistics to advertising) make up an increasing amount of manufacturing activity” (McKinsey & Co, 2012). How have you developed your leadership skills during the last five years to be able to adapt to the changes in the manufacturing industry? Global change will become more varied, extreme and faster and only leaders who are flexible and open to developing leadership styles will be able to adapt and exploit change. “The manipulation of rewards and punishments has been the traditional approach to management (Etzioni, 1961) but a different form of control, one based on shared sentiments and values, will be essential for tomorrow’s leader” (Brown M E, 2002). A Learning Organisation is where everyone becomes a leader and is responsible for seizing opportunities and transforming challenges into opportunities. This promotes communication, increases productivity and frees up the CEOs time to be a true leader rather than a manager. Executive coaching is one of the best ways to develop your leadership skills and create a Learning Organisation. A Harvard Business School study indicates that companies implementing a coaching culture have improved revenue growth (520%), employment growth (246%) and net-income growth (755%) compared to companies operating without it. The Manchester Review states that the impact of Executive Coaching shows an ROI of 5.7 times the investment; improving organisational relationships by 74%, teamwork by 67% and job satisfaction by 61%. The Brand Surgery helps SME manufacturers to grow their brand through a combination of executive coaching, strategic marketing and creative communications. I am a Business Growth Expert and there is funding available to help manufacturers to grow through business coaching. Call me on 07909 693172 to discuss your needs. SME manufacturers will have departments set up similar to those shown on the diagram below. Our unique approach to leadership development improves employee engagement thought the organisation because employees begin to understand the ‘holistic’ value they provide. This significantly improves company culture and customer service, leading to sustainable competitive advantage. See our brand management brochure to learn more. 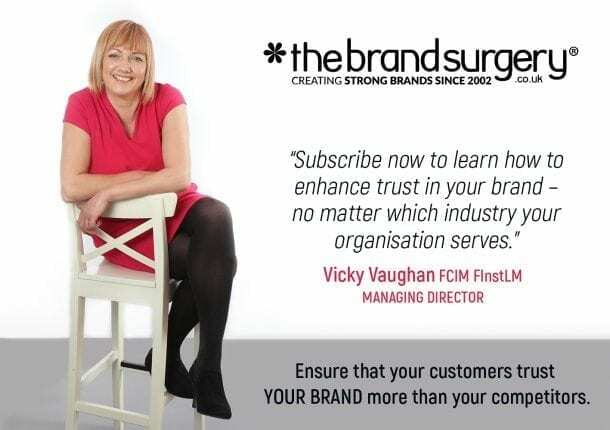 Call The Brand Surgery today on 01903 824229 or email vicky@thebrandsurgery.co.uk to book a confidential chat about your business growth needs. Brown M E, 2002, Leading with Values: The moderating influence of trust on values on values acceptance by employees, A Thesis in Business Administration.